It was only two years ago that I became acquainted with Hegel Music Systems, of Norway. Their then-brand-new flagship integrated amplifier-DAC, the H300, arrived on my doorstep as a review sample. It was the start of what has proven to be an enduring relationship. I was so blown away by what Hegel was able to offer in a 250Wpc integrated for $5500 USD that I bought an H300 to serve as my reference. Since then, Hegel has been updating its line of integrated-DACs, first with the 75Wpc H80 ($2000), which Roger Kanno reviewed on our sister site SoundStage! Hi-Fi, and now with the brand-new H160. I wasn’t at first keen on reviewing another Hegel integrated -- I wasn’t sure what the benefit would be for readers. But two things about the H160 stood out: its power rating of 150Wpc into 8 ohms (or 250Wpc into 4 ohms), and its retail price of $3500. To my knowledge, very few pure hi-fi companies offer amps with that much power and a built-in digital-to-analog converter for under $4000. I was interested. The Hegel folks are clever and practical. They could easily have put the guts of the smaller H80 in a larger case, beefed up the amplifier section and power supply, and said “Job done.” While the H160’s amplifier circuits are quite similar to those in the $1500-less-expensive H80, it has better and twice as many output transistors, as well as six 10,000µF Nover capacitors. It also has a notably improved preamp stage, and a power supply that’s not only more sophisticated, but twice the size of the H80’s. Analog inputs include one balanced (XLR), one unbalanced (RCA), and an additional unbalanced (RCA) that can optionally be configured by the user for home-theater bypass. The analog outputs include both fixed and variable (both RCA). The binding posts are the same high-quality type used on the H300. The DAC, too, is different. Gone is the H80’s Texas Instruments chipset, in its place an AKM 4396VF -- a 24-bit variant of the 32-bit AKM 4399 used in the H300. Digital inputs include three optical, one coaxial, and one adaptive USB. Unique to the H160 -- and completely new for Hegel -- is the Ethernet port for DLNA (up to 24-bit/192kHz) and Apple AirPlay connectivity (up to 16/44.1). Of the high-end companies whose products I’ve reviewed, Hegel is only the second to harness Apple’s proprietary wireless standard, but based on what I’ve heard, it’s no surprise that it’s taken so long for hi-fi manufacturers to play nice with the Cupertino-based firm’s ecosystem, which uses a fair amount of unique software -- a substantial amount of work goes into proper integration. Furthermore, a 2500-page “booklet” accompanies the protocol for manufacturers wishing to use it; it’s no surprise that certification by Apple doesn’t come easy. 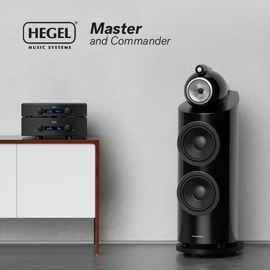 Significantly, Hegel has been able to embed its proprietary reclocking circuitry within the AirPlay interface, maximizing its performance to a degree that, Hegel argues, no other manufacturer offers. Also new to Hegel’s line of integrated-DACs is a discrete headphone amplifier. I suspected that Hegel’s engineers had simply shoehorned into the H160 the circuitry of their small Super headphone amplifier ($299), a sample of which I use. In fact, they use the same JRC4556AD op-amp used in their newer HD12 DAC ($1400). At 270mWpc into 64 ohms, it’s significantly more powerful than the Super, and of higher sound quality. Fortunately, the H160 has the same substantial remote control, the RC8, that comes standard with the $2000-more-expensive H300. This aluminum handset features all of the expected controls, as well as the ability to select a specific volume on startup, turn off the H160’s blue front-panel display, and special controls for computers attached via USB. You can play or pause music, and choose the last or next selection -- which, after two years of constant use of my H300, I find hugely convenient. It would have been nice to be able to turn the H160 on and off via the remote, but alas. Other than that, only the H300’s DAC-Loop feature is absent. The steel-clad H160 measures 16.9”W x 4.7”H x 16.1”D, weighs 42 pounds, and is classic Hegel: modest, solid, streamlined. On the faceplate of thin but solid aluminum, a volume knob and source-selection knob flank the central blue LED display; both knobs have light but tactile feedback. Near the lower right corner is the 1/4” headphone jack; the power button -- which engages with a firm, satisfying click -- is tucked just under the left corner. Despite the wide range of loudspeakers with which I partnered the H160 and the varying volume levels I challenged it with, it only ever got slightly warm to the touch. Most interesting to me are Hegel’s specifications for the H160’s class-AB amplifier section: a frequency response of 5Hz-100kHz, signal/noise ratio exceeding 100dB, crosstalk of less than -100dB, distortion of 0.005% at 50W into 8 ohms when outputting a 1kHz test tone, intermodulation distortion of less than 0.01%, and a damping factor of more than 1000. All of those figures are identical to the specs for the significantly larger and more expensive H300, which I use daily. The exceptions are the H300’s frequency response of 5Hz-150kHz, ±3dB, and its distortion of 0.005% at 100W into 8 ohms when outputting a 1kHz test tone. 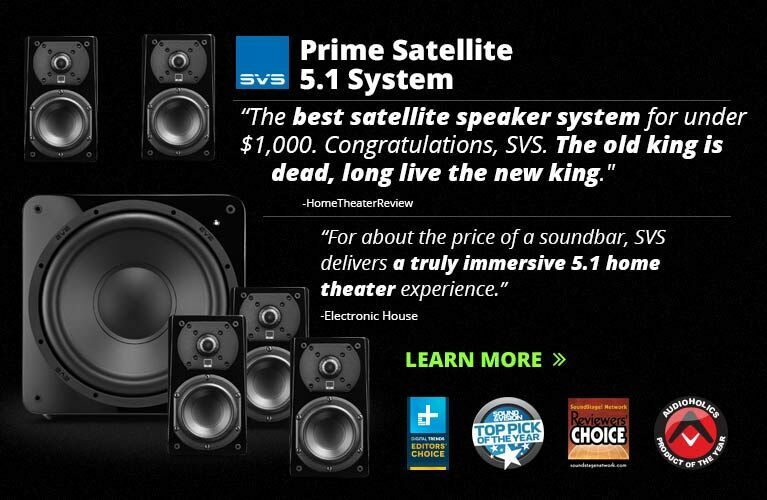 In other words, in terms of measured performance, the H300 exceeds the H160 in only its super-high-frequency response and additional power output. Surely this doesn’t tell the whole story of the H160’s sound, but it’s one heck of an indicator: unless you have both a large listening room and woefully insensitive speakers, the H160 should offer a very high proportion of the H300’s performance for $2000 less. I began using the Hegel H160 in a way I suspect few will: on a desktop. Since I frequently work from home, the H160 provided me with a perfect, if big, way to power the diminutive Amphion Ion+ speakers that flank my computer screens, while providing a dedicated amplifier for my NAD HP50 headphones. The NuForce DDA-100 integrated amplifier ($549) that normally sits on my desk is a fine partner for the Amphions, but the Hegel quickly illustrated what $2951 more can buy. 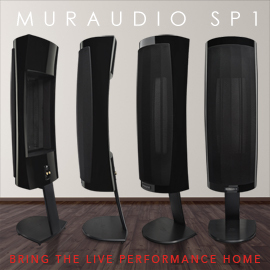 Driven by the H160, the Amphions cast a more expansive, more firmly delineated soundstage, while also sounding less “digital.” Voices were more fully fleshed out, transparency increased several notches, and the listening experience was more immersive. So far, so good. I then tried various earphones and headphones with the H160’s discrete headphone amp. In each instance, I found that the integrated offered better sound than did Hegel’s tiny Super. The H160 was superior in most every sonic parameter: more delicate soundstaging, more stable imaging, a slightly smoother midrange, and a subtle lack of edge and grain. Then I removed the H300 from my main system and replaced it with the H160. An avid Apple fan, I was eager to try out Hegel’s implementation of AirPlay with my iPhone 6 and MacBook Pro. Pure wireless operation is not an option, unfortunately; you have to snake an Ethernet cable from a home-network router to the H160’s rear panel. But that done, the Hegel automatically made itself available on my network -- I was quickly able to select “H160 0426AE” from the AirPlay menus on my phone and laptop. It takes the H160 about ten seconds to fully sync with the controlling device, and in doing so it automatically switches from whatever input is active to NET, the networked input. The controlling device modulates the Hegel’s master volume control in iTunes -- care should be taken to set the volume very low when first hooking up the amp. Volume can also be adjusted manually, or via the RC8 remote control. I could hear no difference between using the AirPlay and adaptive USB inputs, despite listening through each for the better part of a month. Moreover, on only one or two occasions did I hear any kind of dropout, and I’m confident that I can attribute even those to heavy network traffic. After daily use of the H160 via multiple devices, I’m convinced that Hegel has nailed the integration of Apple AirPlay into this model. How did the H160 sound with pairs of full-range loudspeakers, such as those from Definitive Technology, KEF, and Paradigm (see “Associated Equipment”)? At first, the H160 sounded identical to the H300 I’ve enjoyed for the past two years. Big dynamics, bell-like clarity throughout the audioband, and a smooth, silky-clean, slightly forward sound -- all were readily apparent. But as time went on, more subtle differences began to emerge. Herbert von Karajan and the Berlin Philharmonic’s recording of Mussorgsky-Ravel’s Pictures at an Exhibition (16-bit/44.1kHz AIFF, Deutsche Grammophon) is rich in transient detail. The low-level background information in Promenade is delightful, with a prominent creaking chair in the right foreground, and various other sounds from the musicians in this brief, very quiet interlude. Having not listened to the album in a while, I was caught off guard by just how visceral and real it sounded. Through the H300, there was just slightly more on offer: more detail, a seemingly more extended, more effortless top end, more liquidity through the midrange. Despite these fine details, the familial resemblance of the H160 to the H300 was unmistakable. I heard no special voicing for Hegel’s middle-model integrated. Thom Yorke’s signature singing in “Before Your Very Eyes . . . ,” from Atoms for Peace’s Amok (16/44.1 ALAC, XL), is as haunting and ruminative as some of his early work in Radiohead. The H160 handled the midband gracefully, with a superclean, highly detailed quality that was quick and lively. Some amps can sound rich and supple through the mids, but at the expense of speed, attack, and decay. Not the H160. I then proceeded to rediscover Outkast’s fabulous Speakerboxxx/The Love Below, the Atlanta, Georgia duo’s chart-topper, which won a Grammy for Album of the Year for 2003 (16/44.1 AIFF, Arista). The album was released when I was a college freshman, and I felt nostalgic as I blasted “Behold a Lady,” with its punchy bass line, rock-solid central vocal by André 3000, and subtle background percussion. The Hegel H160 fully energized my largish listening room, with no hint of strain or compression. 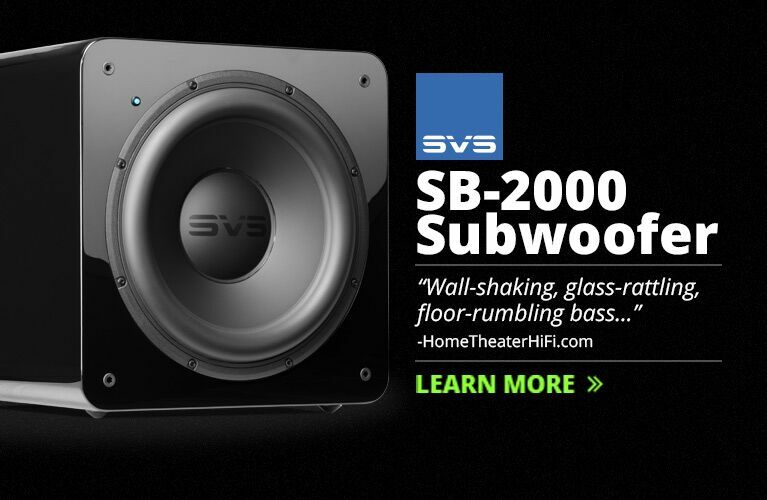 The H160 and H300 offered identical bass performance: taut, controlled, athletically deep. The H160 produced totally linear sound, as is becoming the norm among well-designed class-AB amps below $10,000; tonal colorations were nowhere to be heard. Overall, it can be argued that Hegel Music Systems’ H160 is a better amplifier than their H300. The small sonic concessions it makes to the H300, primarily in terms of absolute transparency and overall precision, are offset by the inclusions of Apple AirPlay, DLNA connectivity, and a discrete headphone amplifier. 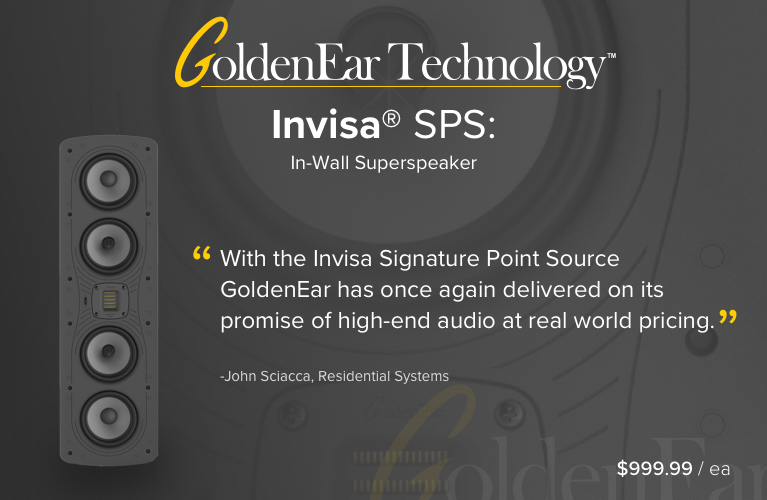 The $2000 more you’d pay for an H300 buys you a beefier power supply with a 100Wpc power advantage that results in less than 3dB additional headroom. For some users, that will make sense. But for most, I think the H160 comes awfully close to the H300’s performance for a heck of a lot less cash -- I own an H300, and I seriously considered replacing it with an H160. 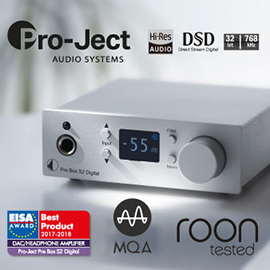 The new model’s excellent AirPlay integration alone makes this an easy recommendation, but I can’t think of a competing integrated amplifier that comes close to its combination of excellent top-to-bottom sound, fabulous remote control, plentiful power, and one of the most comprehensive ranges of features I’ve seen at the price. What a delightful little amplifier.